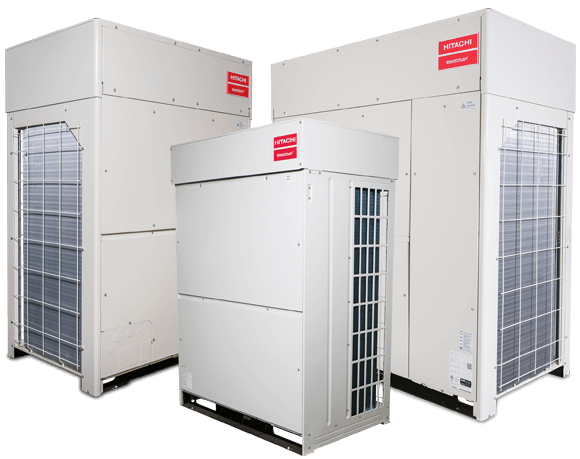 Heat recovery units can heat and cool spaces simultaneously. Hitachi SmartFlex™ VRF heat recovery systems offer an extended operating temperature range: outdoor ambient temperature as low as -10° F (-23° C) in the cooling mode and as low as -13°F (-26° C) in the heating mode. Impressive operating ranges and high capabilities at low and high ambient temperatures to meet diverse application requirements. Dual inverter compressors are standard in 8, 10, 12, 14 and 16 ton units for increased efficiency.